home Video The Week in Horror – Cult of Chucky, Blair Witch, The Predator, and more! 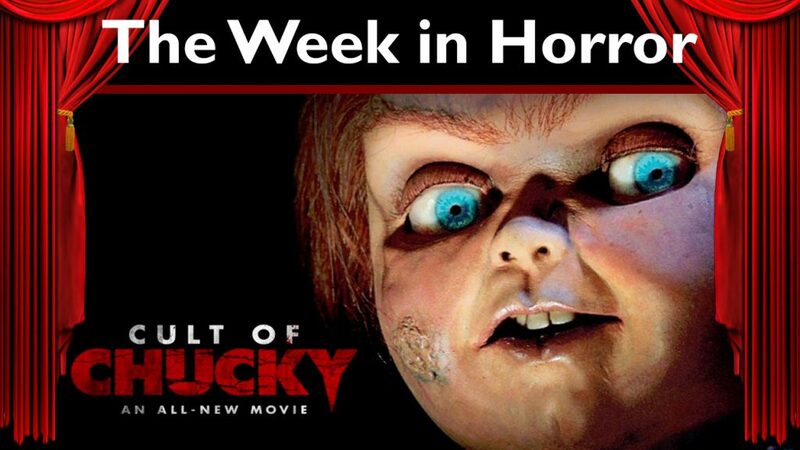 The Week in Horror – Cult of Chucky, Blair Witch, The Predator, and more! There’s always something to talk about in the world of horror, so this year I’ve resolved to do a better job of staying informed about new developments in movies, games, literature, and everything else. Part of that resolution involves what I hope to be an ongoing series of videos where I talk about current news and new releases as well as what I’ve been getting into in regards to the entirety of horror media. Check out the first episode and let me know what you think. Covering the first week of 2017, this is the first episode in a series where I share my thoughts about current horror news and what I’ve been into recently. In this week’s episode I talk about the teaser for Cult of Chucky, Keegan-Michael Key being cast in The Predator, the home video release of Blair Witch, indie found-footage movie Be My Cat: A Film For Anne, the final issue of The Whisperer War story arc in The Walking Dead comic, and the recently released indie game Tattletail.